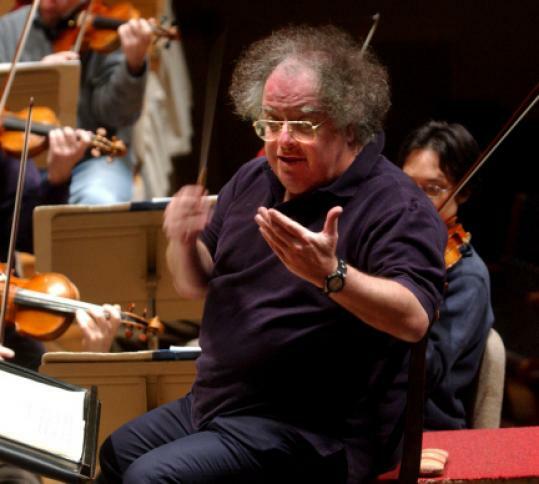 JAMES LEVINE’S tenure as music director of the Boston Symphony Orchestra will be remembered both for the jolt of energy he gave its musical programs, which had grown stale over predecessor Seiji Ozawa’s three-decade tenure, and, alas, for the way Levine’s health troubles sapped the orchestra’s energy over the past few years. Finally, a flare-up of the 67-year-old conductor’s back woes led him to step down. His resignation was an implicit acknowledgment that the sharing arrangement under which he headed both the BSO and New York’s Metropolitan Opera had become untenable. He deserves Boston’s thanks and best wishes. While some local fans might dwell on the maestro’s decision to stay on in New York, his decision to give up the BSO set free a world-class orchestra that had become tethered to its conductor’s medical chart. Now, the BSO can seek some fresh electricity — similar to what Levine provided in 2004, but with greater durability. Replacing one of the world’s best conductors could take years, and the search will no doubt include hard looks at other celebrated and established maestros, like the San Francisco Symphony’s Michael Tilson Thomas, whose BSO roots date from his days as a wunderkind in the ’70s, and the Amsterdam Royal Concertgebouw Orchestra’s Mariss Jansons. But the BSO should also consider taking a bigger risk by tapping a younger, less fully developed talent — like it did when it tapped Ozawa to be music director in 1973. The Philadelphia Orchestra made a similar move when it installed the 35-year-old Yannick Nézet-Séguin as its conductor last year, as did the Los Angeles Philharmonic by bringing on the 29-year-old Gustavo Dudamel. A younger music director would, presumably, be less freighted with other commitments. While top conductors often divide their time between orchestras, the BSO should seek a full-time chief: The time-share under which Levine lent his skills to Boston came at some cost to the orchestra’s independent identity. Boston is, after all, a city defined by its allegiances to hometown personalities, from its athletes to its actors to its politicians. There’s no good reason why it shouldn’t derive a similar sense of pride from its leading conductor. Levine did the city a service by putting his virtuosic stamp on the BSO, and he did a service, too, by stepping aside graciously, promising to continue to serve the BSO in a yet-to-be-defined position. But now that he has laid the foundation for a resurgent orchestra, the BSO can afford to place its bet on a dynamic maestro eager to expand his or her reputation. And Boston should relish the opportunity to cultivate a bright new star of its own.